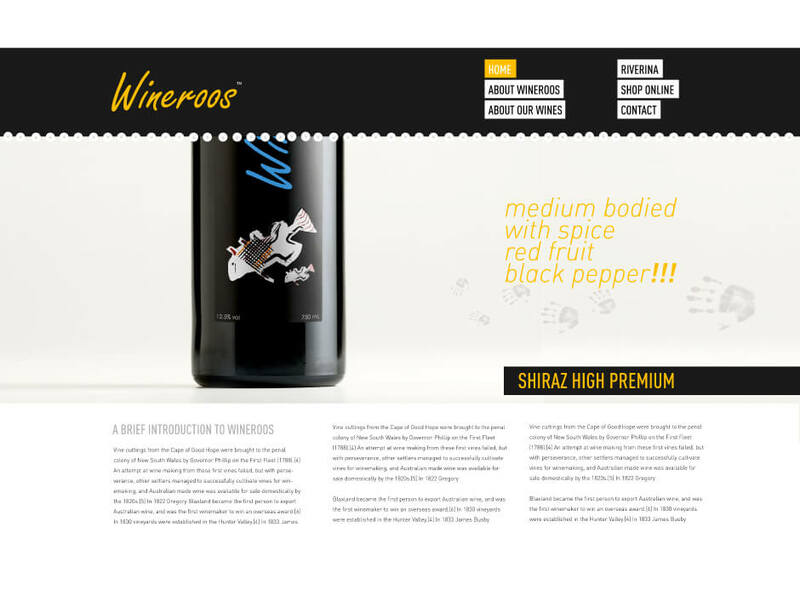 Wineroos wanted an online shop to show off their latest wine flavours. In this website you could learn about the different wines and the heritage of the company as well as get bottles delivered to your door. The website design carries on the design of the label which is a modern Aboriginal design.